Brand: BOSTON SYMPHONY ORCHESTRA INC.
On October 22, the Boston Pops will release its first all-live Holiday CD, A Boston Pops Christmas - Live From Symphony Hall, under the direction of conductor Keith Lockhart, with the acclaimed Tanglewood Festival Chorus, and powerhouse vocalist Melinda Doolittle, an American Idol finalist. 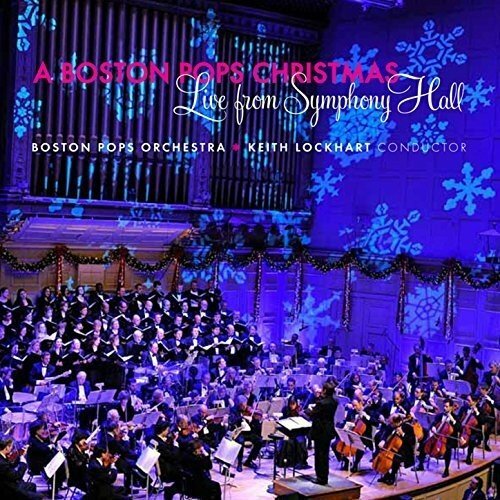 A Boston Pops Christmas - Live From Symphony Hall, was recorded live at concerts during the 2011 and 2012 Holiday Pops seasons in Boston's Symphony Hall, widely considered one of the top concert halls in the world. Manufacturer: BOSTON SYMPHONY ORCHESTRA INC. Publisher: BOSTON SYMPHONY ORCHESTRA INC. Studio: BOSTON SYMPHONY ORCHESTRA INC. If you have any questions about this product by BOSTON SYMPHONY ORCHESTRA INC., contact us by completing and submitting the form below. If you are looking for a specif part number, please include it with your message.